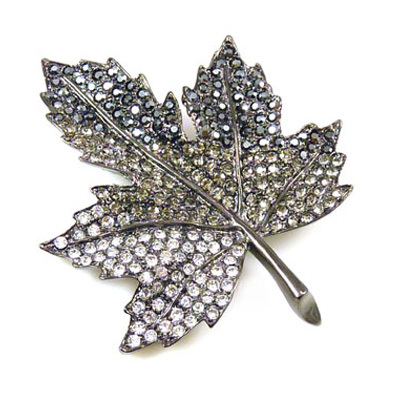 Dainty leaf brooch pin encrusted with hematite, black diamond and clear swarovski crystals on a gunmetal plated frame. Stamped with KJL. Size: 5.4 x 6.5 cms.